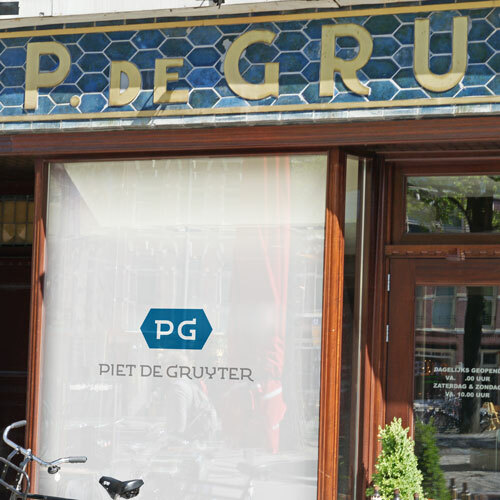 Piet de Gruyter is a friendly café-restaurant close to Amsterdam’s Westerpark and we were the ones to design their visual identity. 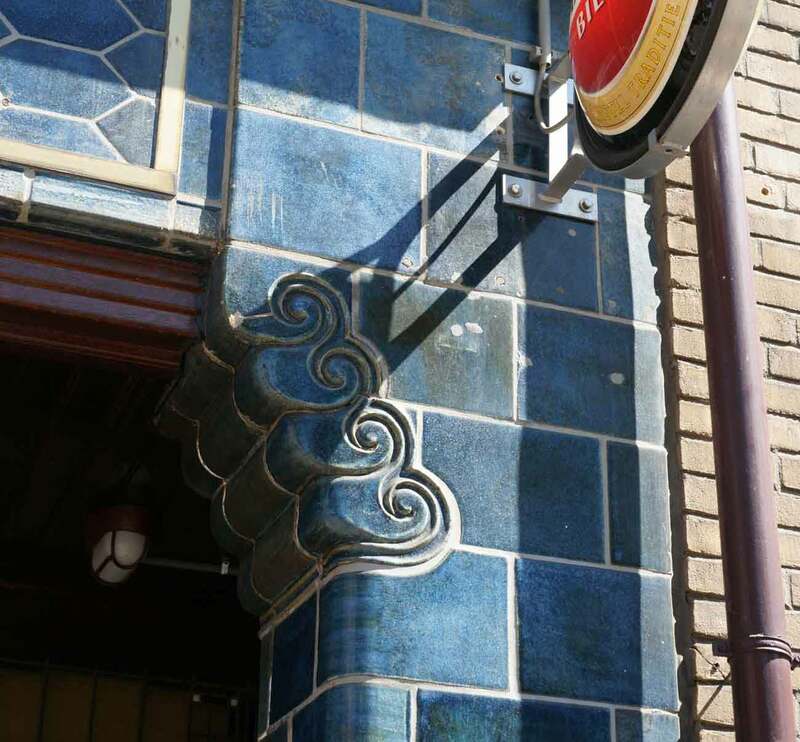 The logo is inspired by the shape of the tiles that decorated the façade of the former De Gruyter grocery store, which can still be seen from the café’s terrace. 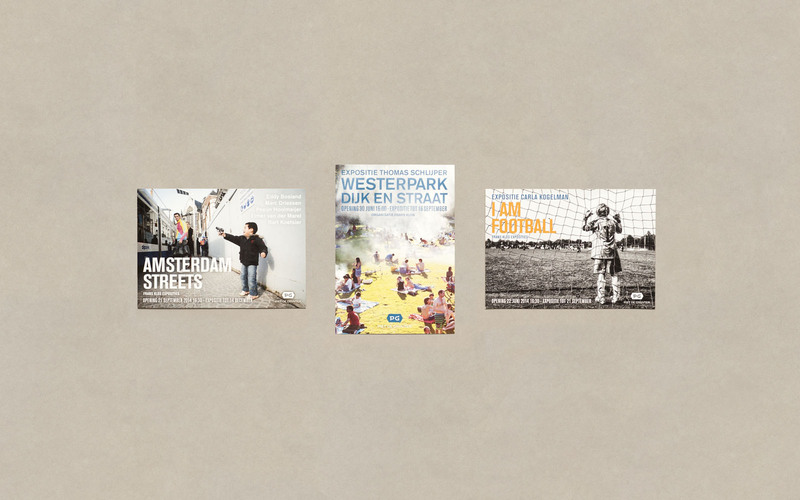 A new exhibition of photographs is hung up on Piet’s walls every two months. 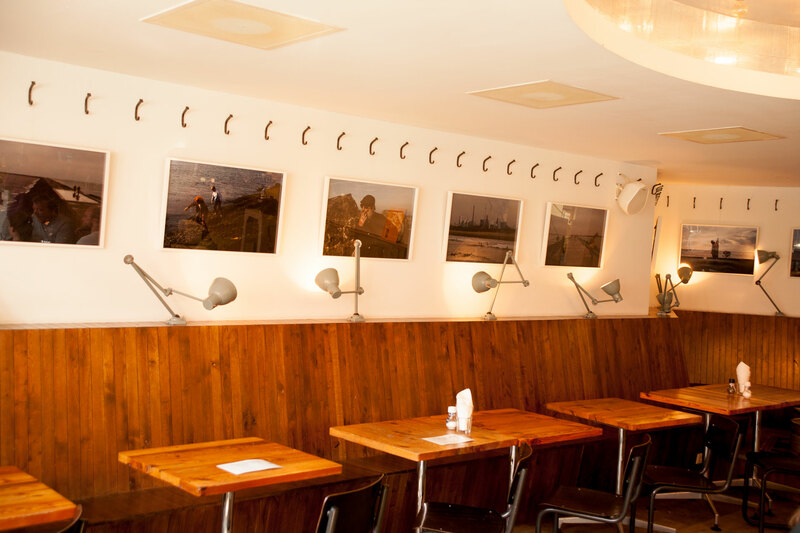 We take care of the general day-to-day print requirements of the café, as well as the promotional materials for the exhibits. 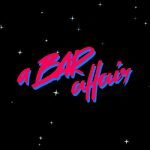 We worked in close understanding with interior designers of Studio Modijefsky, who did a great job integrating the graphic tone within the styling of the space, like the wooden letters behind the bar and the patterning on the mirror. So who was this Piet fellow anyway? 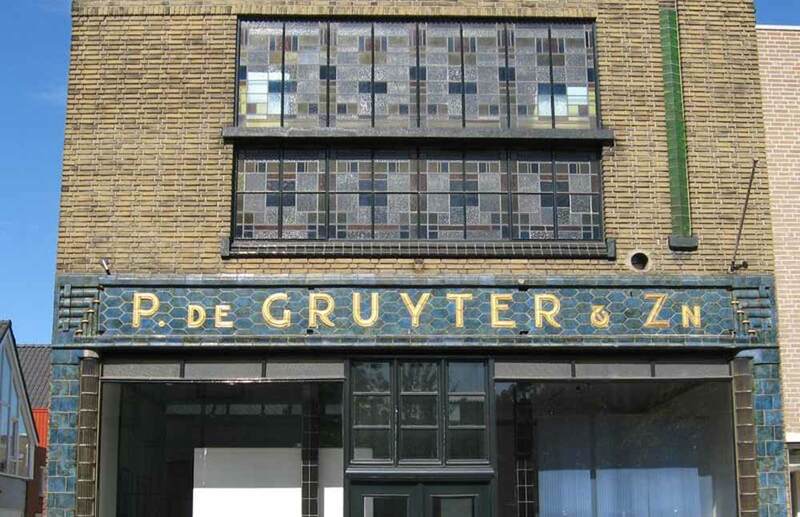 The name “De Gruyter” comes from a Dutch chain of grocery stores. They were around from the 19th century up to 1976. At its height there were over 550 stores and almost 7,500 employees. Piet, the main man of this story, started off in 1818 in the Southern town of ‘s-Hertogenbosch (Den Bosch) with a horse-drawn mill, processing legumes, seeds, and grains.Later, his son Louis and grandsons, Lambert and Jacques, took over and grew the business. The first store here in Amsterdam opened over 80 years later in 1902. 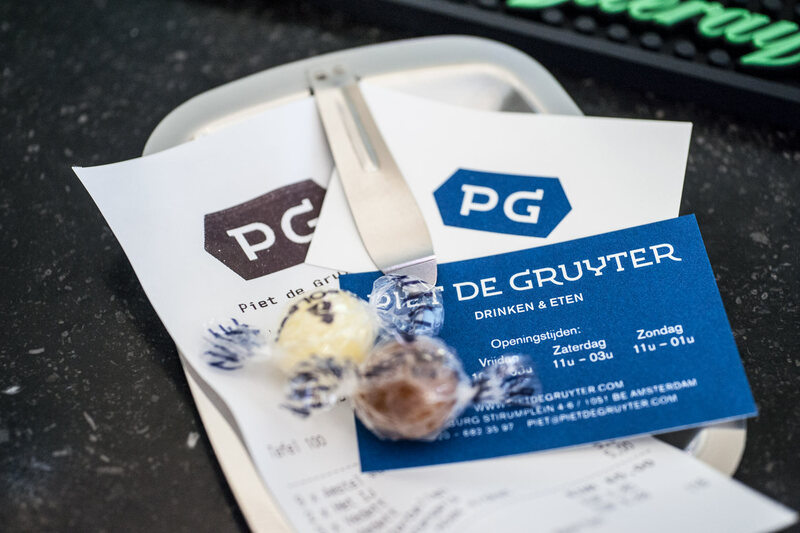 One of De Gruyter’s most successful campaigns was giving 10% discounts to those who showed receipts from previous purchases, basically rewarding loyal customers. We like that sentiment. Also worth mentioning that Dutch society used to be socially divided, with people belonging to certain social groups, such as Catholics, Protestants or Socialists. 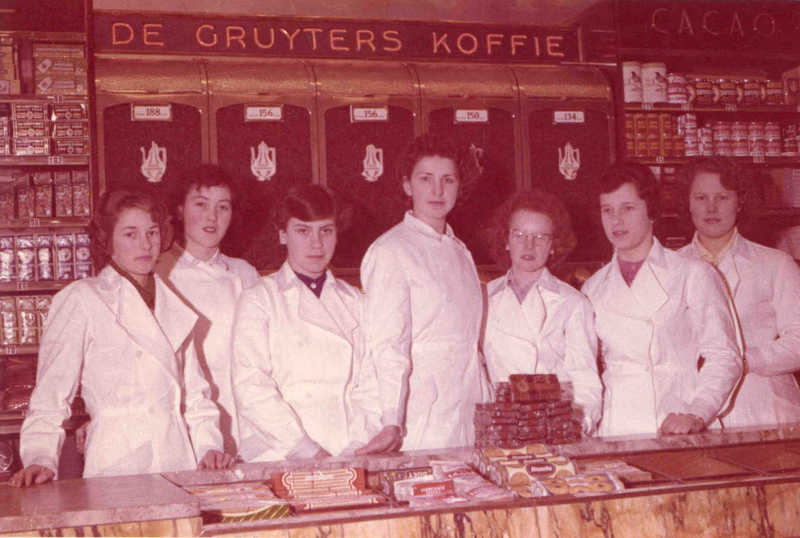 It was mainly Catholics who shopped at De Gruyter stores, as protestants tended to go for the Albert Heijn. This societal division loosened up in the 1950s. 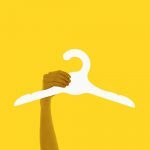 As for the De Gruyter shops, the switch to a more modern supermarket concept proved a step to far. By the late 1970s the company dissolved and the shops disappeared from the high street. 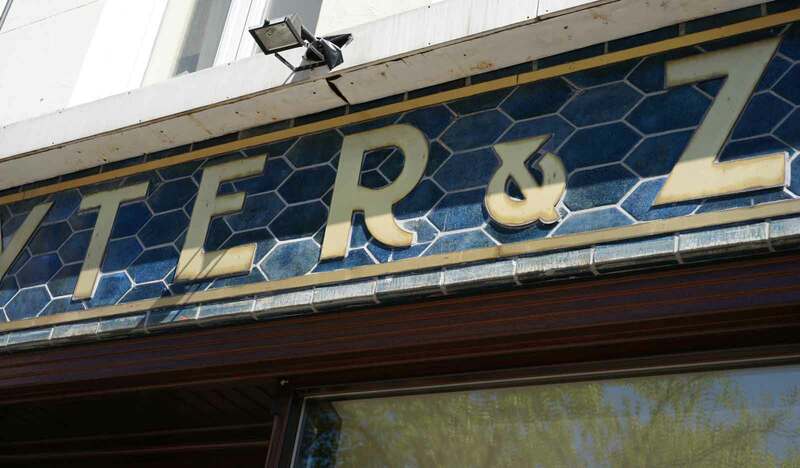 Luckily however, we can still see a reminder of this history when having a drink at the ever so gezellig Piet de Gruyter café!